90 mm/50 (3.5") from Caio Duilio now at the Milan Museum of Science and Technique. Picture copyrighted by Eugenio Vajna. Another view of above 90 mm/50 mounting. Picture copyrighted by Eugenio Vajna. Developed by Ansaldo, these two models were similar in design. The guns had good ballistic properties for their caliber, but the stabilized mountings they were used in were too advanced for their time and were plagued with many technical faults. The mountings were stabilized in four axes; training, elevation, roll correction and pitch correction. They required 11 gyros to operate in a very complex arrangement. RPC was fitted but removed from the Duilo class in 1942, apparently because of water damage. The Littorio class had their mountings located much higher and retained RPC. However, even these ships suffered from frequent electrical and mechanical breakdowns. In 1938 plans were made to rebuild the Alberico da Barbiano (1st Condottieri) class into AA cruisers. These plans entailed removing all existing armament and rearming the ships with sixteen 90 mm/50 guns in single turrets, arranged six forward, four amidships and four aft along with ten twin 20mm MG mountings. This plan was not implemented due to financial considerations and the need to prioritize gun production for the battleships. Constructed of autofretted monobloc barrel with a screwed-on breech ring holding the horizontal sliding breech block and seatings for the run-out and recoil cylinders. The gun barrel was attached to the receiver by a bayonet joint. The original design was 48 calibers in length, but the production guns were 50 calibers long. 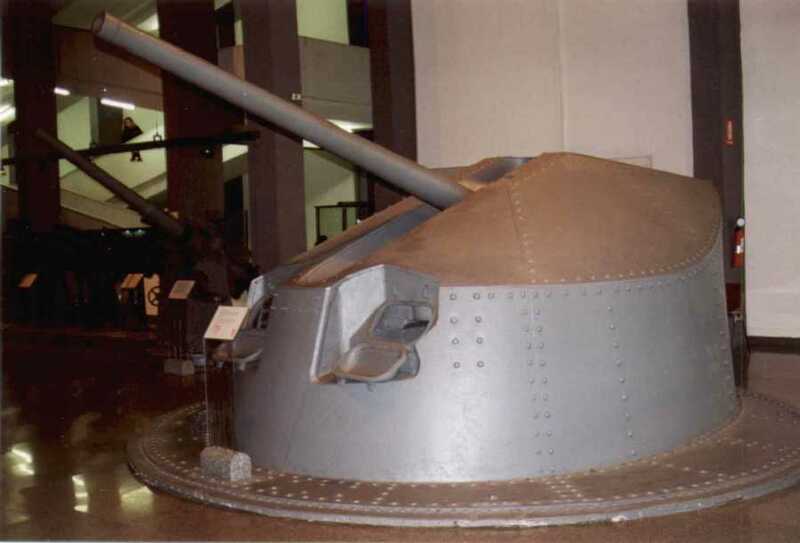 There was also a 90 mm/53 gun for land use produced during the war that was considered to be one of the best Italian AA weapons. This weapon continued in service until the 1950s. ^Well trained guncrews could reach 16 rounds per minute, but 12 rounds per minute was the normal rate. ^Illumination rounds were supplied but these were considered to be inadequate due to their small size. ^AA rounds were considered to have good ballistic behavior and accuracy, but early rounds fragmented into very small pieces, limiting the effective bursting range. 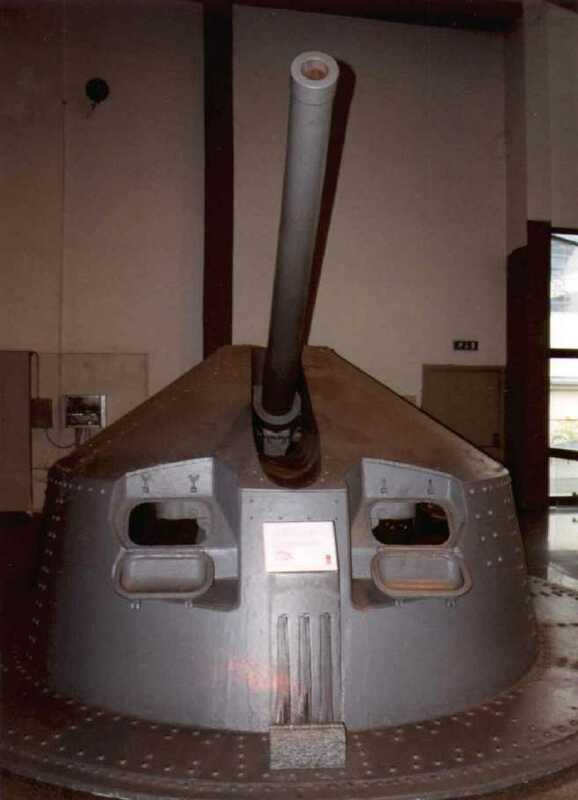 Rounds with better fragmentation patterns were introduced during the war and these remained in service with the land-based guns into the 1950s. ^Outfit for Littorio class was 5,842 AA and 50 illumination rounds. Handling rooms held 90 ready rounds. Roll correction was +/- 14 degrees and pitch correction was +/- 5 degrees. ^Two prototype mountings with 48 caliber guns were tested on the armored cruiser San Giorgio in 1938. ^Two unstabilized mountings were planned for arming the fast sloop Diana but these were canceled and she received two old 102 mm/35 (4") guns in their place. ^Gunhouses were oval in shape and sharply raked so as to minimize overpressure effects from the main guns. Armor thickness for the Littorio Class given in "The Littorio Class: Italy's Last and Largest Battleships 1937 - 1948"